The BLK Ndroga side encountered a tough challenge over the weekend against Northland. They won 12-0. Northland started the match with a fast and physical pace that saw host Nadroga playing in their half throughout the first 40 minutes. Northland came close to scoring a try but knocked the ball on just a few meters from the try line. There was some tough physical defense that stopped Nadroga from breaking the defensive line in the first half. The visitors continued to mount pressure on Nadroga and were awarded a few penalties which Northland failed to capitalise on. The first half saw both teams at nil all leaving spectators and fans in a state of suspense as to how the second half will unfold. Again the first quarter of the second half saw Northland playing consistently as in the first half but started to lose momentum in the pace of the game in the 60th minute. The BLK Nadroga side took the opportunity to break Northland’s line of defence and use their kick and chase techniques to run in beautiful tries in the second half. The 80 minutes rugby by Nadroga was their strength which carried them into defending their HFC Bank Farebrother title once again. Northland came close to winning with the impressive pressure and attacking style of play but fell short to the enduring and consistent Nadroga side. This week, will see Suva challenging the holders at Lawaqa Park and the match kicks off at 3.00pm. 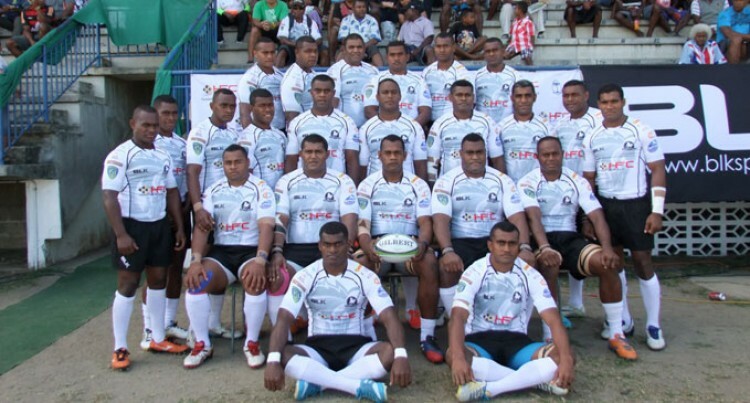 Nadroga will not take Suva lightly.